Hi everyone! Laurie here from Stamping Up North. 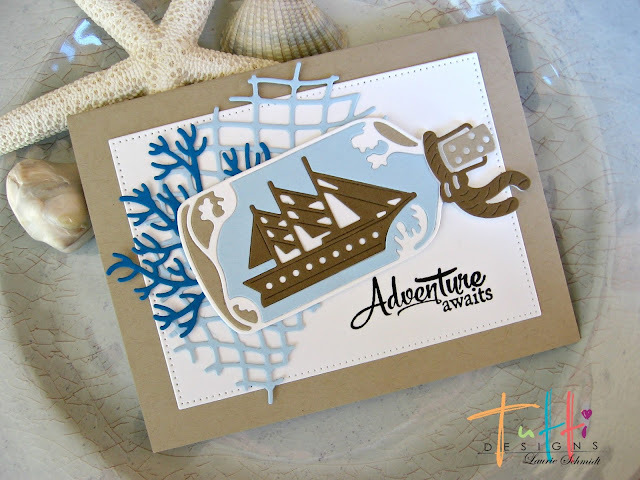 Today I have a card I made with Tutti Designs awesome Ship in a Bottle die. What a fun die! It's great for so many cards...masculine, graduation, birthday...just to name a few. For this card I did some in laying with it. and a piece of coral behind the bottle. And attached it all onto A Tutti Designs Dotted Nesting Rectangle. 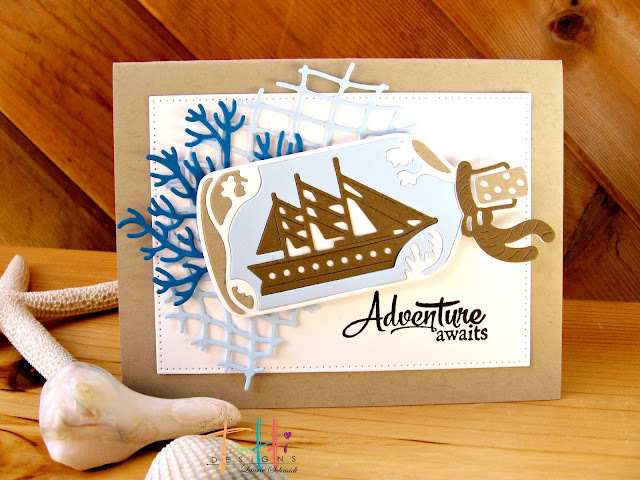 I stamped the sentiment in black at the bottom and adhered it all onto craft card stock. 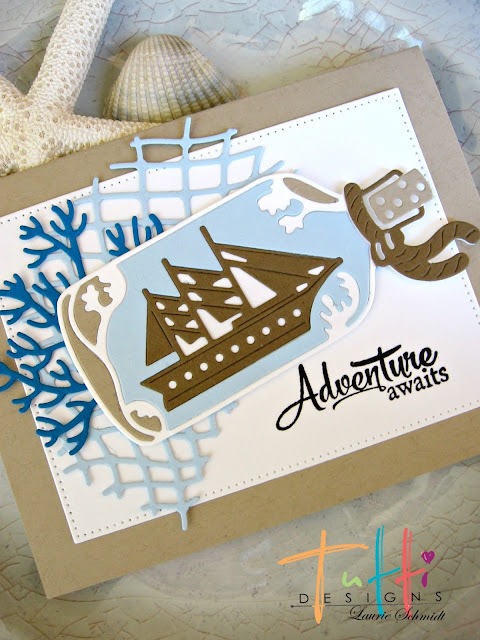 What a wonderful card, love this die, and the color palette you used, nice!